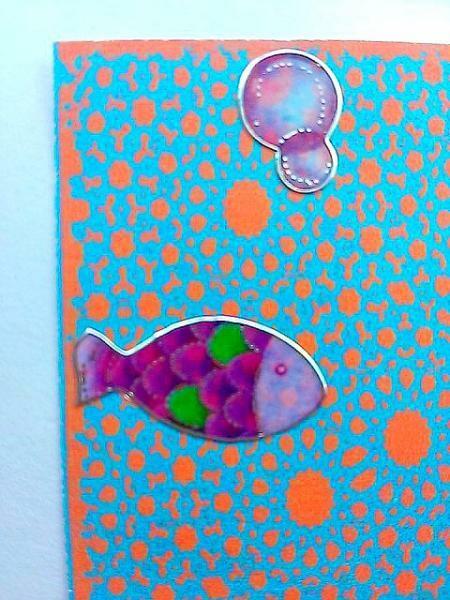 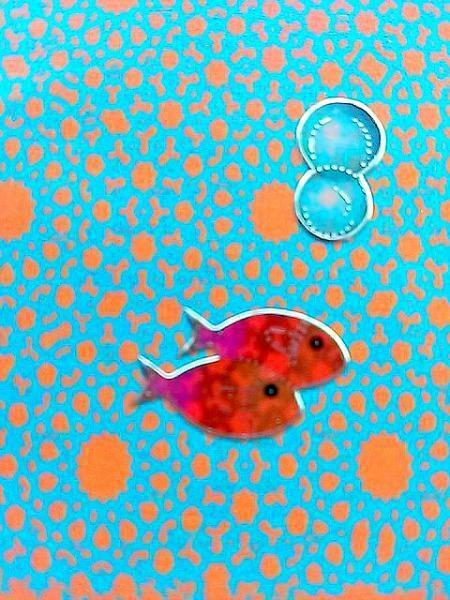 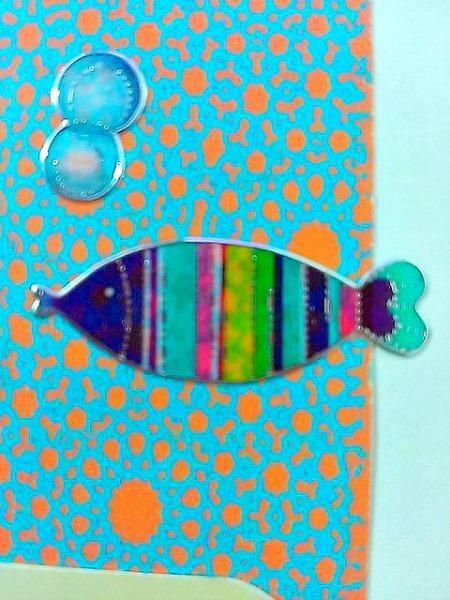 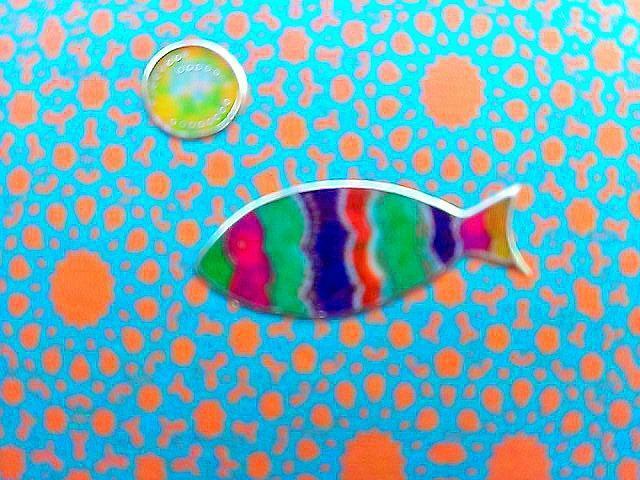 Nowrūz is March 21, 2015 and this card with fish, the sign of Pisces which the sun is leaving, is the perfect way to greet it. 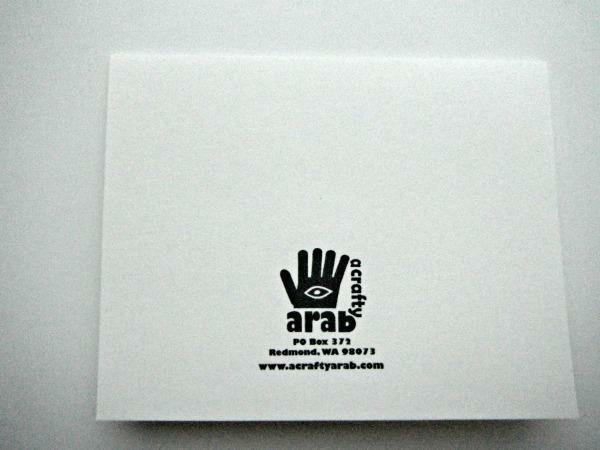 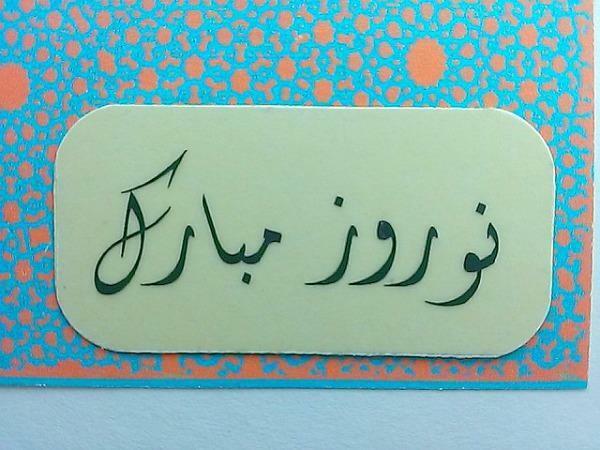 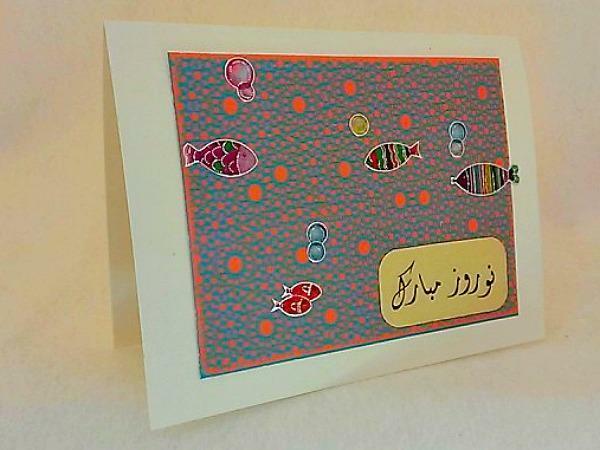 It also features Nowruz Mabrook on vellum attached to yellow cardstock. 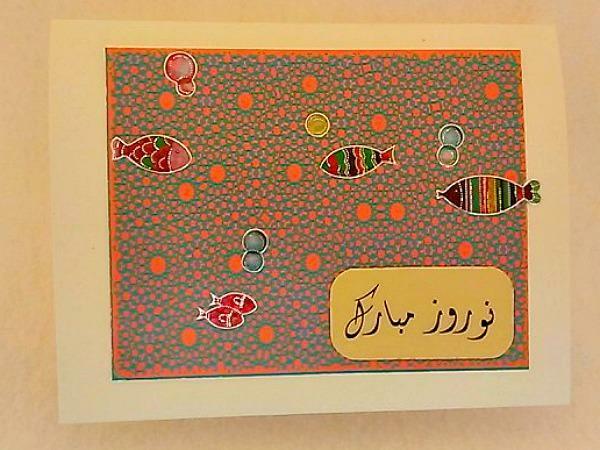 As an essential object of the Nowruz table, a goldfish in a bowel (symbolizing life within life) is also "very ancient and meaningful" and with Zoroastrian connection.